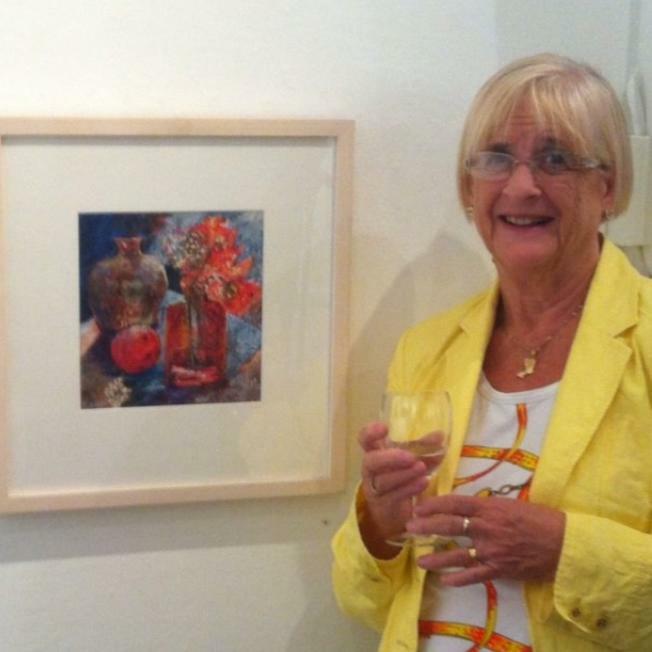 Joan is a contemporary artist with a particular interest in colour and texture. 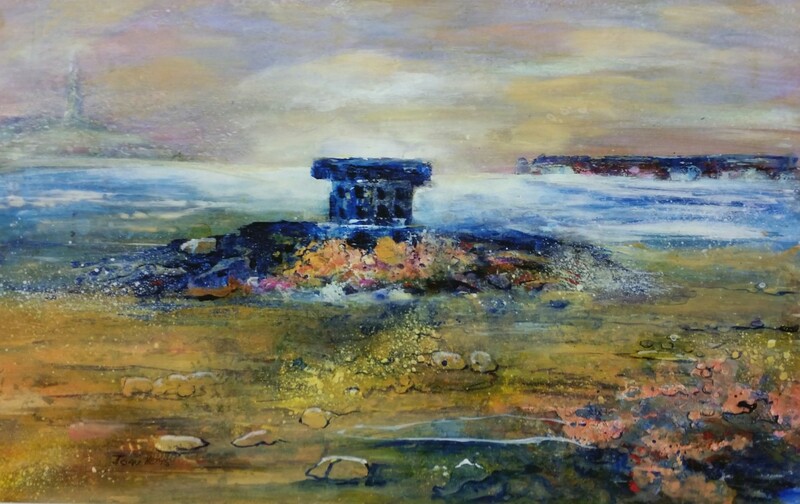 She achieves this by employing collaged techniques and a range of mixed media products including acrylics, ink, watercolour and pastels and strives for impact in her work. Joan is interested in the world around her and enjoys landscape, townscapes, harbour scenes and flowers. She prefers an impressionistic style rather than photographic detail. Joan is a member of the Wolverhampton Society of Artists, and the Dudley Society of Artists. She has exhibited in juried exhibitions in the Mall Galleries in London and the RBSA in the Midlands. 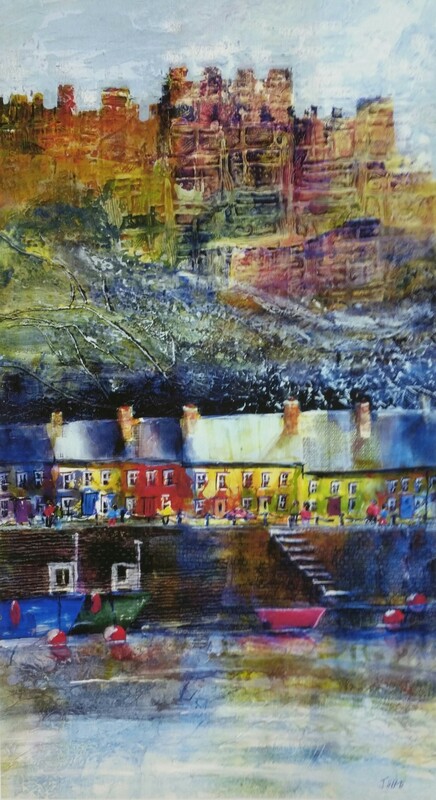 She has her work hanging in homes in the Midlands, Devon, Yorkshire and the Channel Islands.